The Environics Institute for Survey Research is a Toronto-based non-profit organization founded by Michael Adams in 2006 to promote relevant and original public opinion and social research on important issues of public policy and social change. The focus of the Institute’s mandate is to survey individuals and groups not usually heard from, asking questions not normally asked. 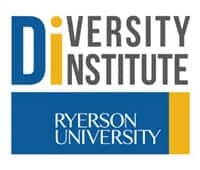 Ryerson University’s Diversity Institute undertakes research on diversity in the workplace to improve practices in organizations. We work with organizations to develop customized strategies, programming, and resources to promote new, interdisciplinary knowledge and practice about diversity with respect to gender, race/ethnicity, Aboriginal peoples, abilities and sexual orientation. Using an ecological model of change, our action-oriented, evidence-based approach is driving social innovation across sectors and producing concrete results. YMCA of Greater Toronto is a charity focused on community support and development. Our aim is to provide every individual in our community with opportunities for personal growth, community involvement, and leadership. By making connections, collaborating, and mirroring our region’s diversity, we believe we can become the network that binds our many neighbourhoods into one city, one country, and one world. CBC/Radio-Canada is Canada's national public broadcaster and one of its largest cultural institutions. The Corporation is a leader in reaching Canadians on new platforms and delivers a comprehensive range of radio, television, internet, and satellite-based services. Deeply rooted in the regions, CBC/Radio-Canada is the only domestic broadcaster to offer diverse regional and cultural perspectives in English, French and eight Aboriginal languages. CBC Toronto is a proud media partner of The Black Experience Project (BEP). The following organizations are helping to promote the study and/or hosting community engagement sessions - providing volunteers, venue space, and other resource assistance. Additional partners are being added on an ongoing basis. For more on The Black Experience Project in the GTA, please contact The Environics Institute.